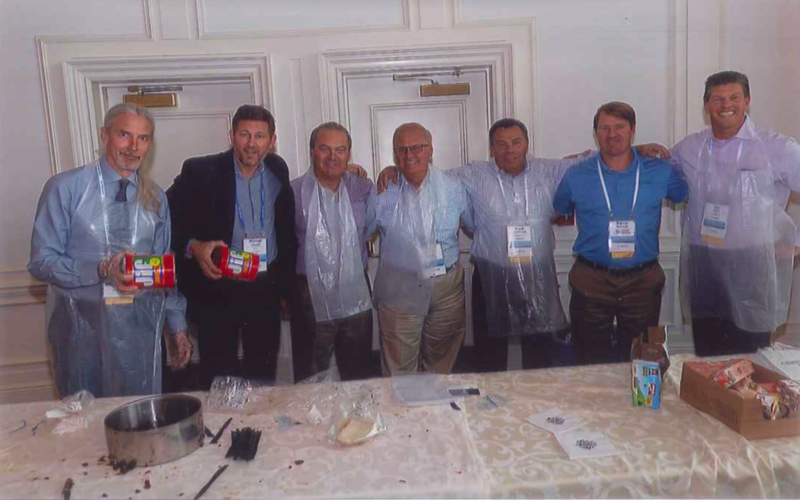 Plato Ghinos, President of Shaner Hotels, recently participated in the interactive Peanut Butter & Jelly Sandwich Challenge to assist Hotel Interactive Charities in raising awareness and money for its chosen charity. As his contribution to the challenge, Mr. Ghinos made 408 Peanut Butter & Jelly Sandwiches. Hotel Interactive Charities has chosen to support Feeding South Florida through the BITAC Trading Card Game and The Great Peanut Butter and Jelly Challenge. To date, this program has yielded more than 47,360 meals for the hungry and raised over $104,979 with the help of generous BITAC family members. The organizations mission is to feed South Florida ‘s hungry in order to improve their lives. Feeding South Florida works to accomplish this mission by distributing food and groceries through their network of not-for-profit organizations, educating the public about the issue, and engaging the community in the fight to end hunger. Congratulations to Hotel Interactive Charities on a successful philanthropic campaign and thank you to Mr. Ghinos for showing continued leadership that has helped mold the Shaner Hotels team into becoming significant contributors in their communities. Awesome! Shaner Corp and its President PG ROCK! Thank you Plato!! It’s so nice that we are making a difference, one PB&J at a time (or 408, but who’s counting!) There are so many families out there who will benefit from this amazing charity!!! Wow 408 PB&J sandwiches. Thank you for helping South Florida! What- No Dolmathakia? No Saganaki? Why not a PB&J Gyro? Thanks Plato for providing your time and support for such a great cause, you make us all proud! Great Job Plato! Love to see Team Shaner giving back to the community! Amazing, great job ! sound like a world record . Great Job!!!! And A great cause!!! Congrats!! !